In case you missed it the first time… The webinar originally hosted on Feb. 14 "How will consumer technology disrupt the commercial security market?" is now available in its entirety. 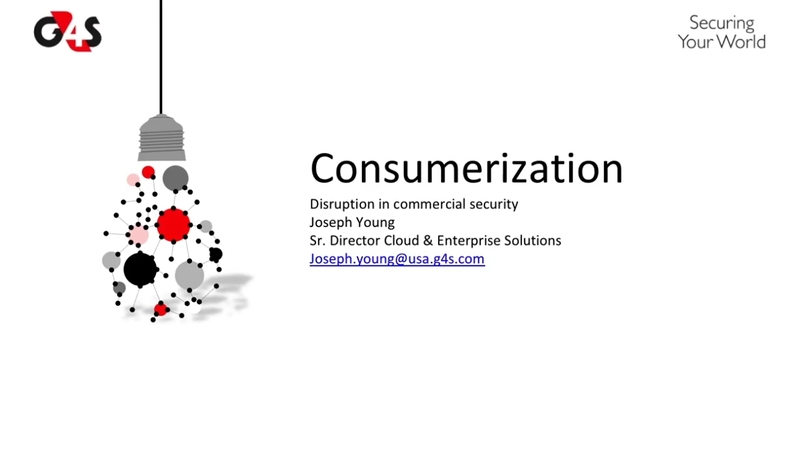 Joe Young, Senior Director, Cloud & Enterprise Solutions, G4S Secure Integration, leads a presentation that offers an in-depth look on the impact of consumer technology in the enterprise and what today’s users expect from their security systems.